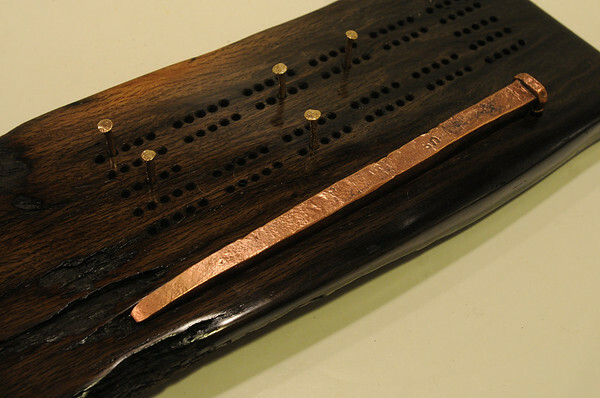 This is a cribbage board is made from the recovered wood, with a large copper spike, and bronze sheeting nails, also from the wreck. Norman "Dugie" Russell dove on the sunken wreck of the U.S.S. New Hampshire off Singing Beach in Manchester. The artifacts that he recovered are fashioned into pieces of art which he sells.